A team of researchers from the Nanyang Technological University in Singapore have developed a new way to produce hydrogen from water. The team has made significant progress toward a goal that scientists throughout the world have been trying to achieve for several years. 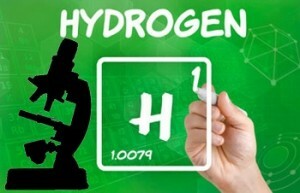 According to the research team, they are close to creating a standalone hydrogen production system that is capable of generate large amounts of hydrogen without also being expensive. Hydrogen production has become a major issue, especially in the transportation and clean energy sectors. Fuel cells are gaining more attention as primary energy systems for homes, and especially vehicles. As such, the demand for hydrogen supply is on the rise, putting strain on existing, somewhat inefficient production systems. Finding an inexpensive and efficient way to produce hydrogen fuel has become a major priority for those interested in using fuel cells. The research team from Nanyang Technological University created a flat mesh out of light-absorbing nanowires that also function as semiconductors. When this mesh was immersed in water and exposed to sunlight, it would generate hydrogen gas. The team was able to capture this hydrogen and use it to generate electrical power with a fuel cell. The team likens this process to photosynthesis and it could be a good way to produce hydrogen fuel without consume large quantities of electrical power. Most modern hydrogen production methods rely heavily on fossil-fuels, such as natural gas. Because of this, hydrogen production is somewhat environmentally hazardous because of the emissions associated with it. Hydrogen production is also somewhat inefficient, making it costly to produce hydrogen on a large-scale. By mimicking photosynthesis, hydrogen could be produced in a more environmentally friendly and efficient fashion. This could help a hydrogen infrastructure take form more quickly and ensure that fuel cell systems have the supply of hydrogen they need to operate effectively.